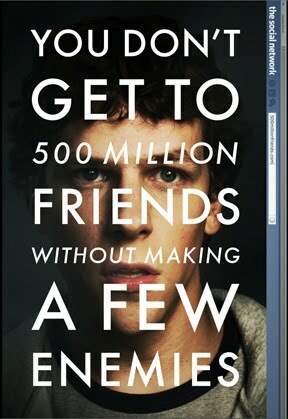 The "Facebook Movie": The Geeks Shall Inherit the Megaplex? As I continue the search for a new social media service, the Facebook discussion continues. More about the movie and the past, present, and future of Facebook after the jump. Mezrich has covered the "supernerds make a big splash" beat before; his Bringing Down the House was a hit and spawned a film adaptation called 21. Watch: Aaron Sorkin discusses the beginning of his involvement with the film at MakingOf. At the same time, author David Kirkpatrick has released The Facebook Effect: The Inside Story of the Company That Is Connecting the World (Simon & Schuster.) Kirkpatrick recently gave a very interesting interview to Salon, which speaks a little to one of my ongoing concerns: the possibility of mass Facebook migration. Salon: There was a lot of hype about "Quit Facebook Day," when all these people pledged to cancel their accounts on May 31 of this year, and not very many people actually wound up quitting. Do you think a mass Facebook exodus is even possible at this point? Kirkpatrick: I do think people could leave Facebook en masse. They could screw up on privacy enough, or the government could force them to do things that are awkward enough that it becomes a pain in the neck to use, and people just leave -- that's the nature of the Internet. But for the moment, most of what you do on Facebook can't really be replicated anywhere else, and the network effect -- the more people that are on there, the more people want to be on there -- acts as this sort of intrinsic sort of glue holding the thing together. Then there's a switching cost: Once you've established this whole network of friends and put data and photos up there, to reassemble that elsewhere is a heck of a lot of work. So even if there were another platform that came along that enabled you to do that, I don't think it's something most people would want to do. I see Facebook remaining the colossus of social networking for the foreseeable future. An interview with Kirkpatrick. Via Hub Culture. Kirkpatrick's book has sparked a little bit of controversy regarding its coverage of Zuckerberg's relationship with one of Facebook's fathers, Aaron Greenspan, who notes some errors in this piece on Huffington Post. Greenspan makes a compelling case for Facebook's paternity and has published his own take on the dawn of "the Facebook era" in a book of his own.